Today was one of those days where I know it's my "writing day" (scheduled into my morning routine) but as I left the gym and drove to work, I still had no idea what I was going to write about. It would have been incredibly easy to just skip it. No is waiting for my posts, no one is paying me to write, and I have plenty of work-work on my mind that I could get started on. So why I am writing today? For all of the reasons I just mentioned. The exercise of doing something that's difficult and not expected of me IS the purpose. That's the main reason I started writing again. It's good for me to do something that stretches me in a situation where I'm the only one who can hold myself accountable. There are so many places where this applies in my life and yours. Think about all the times when you have the option in life to take the easy and expected route when the best way is to do the hard thing that no expects from you. The other reason I started writing again is because it's important to do things that serve no immediate purpose but will add up over time ("important but not urgent" in Stephen Covey's matrix). I think that someday I'd like to write a book, re-open my health coaching or bootcamp business, or start some other venture. So I thought about what I could do now that may be helpful for any of those things in the future. The answer to that is to continue to cultivate my writing. It may be that no one post is important, but the accumulation over time is where the magic happens. I'm not sure if that will work out for me in writing, but I know for a fact that it works that way in almost EVERY healthy habit - exercise, eating well, drinking water, sleeping, etc. No single workout is going to make you fit, but consistent effort will. We all know this but it is the very thing that's MOST difficult. The magic is in consistent effort over time when the benefits aren't immediately visible. So the only advice I have today for you today is to do it anyway. Do the hard thing when the easy way is available and no one is watching. 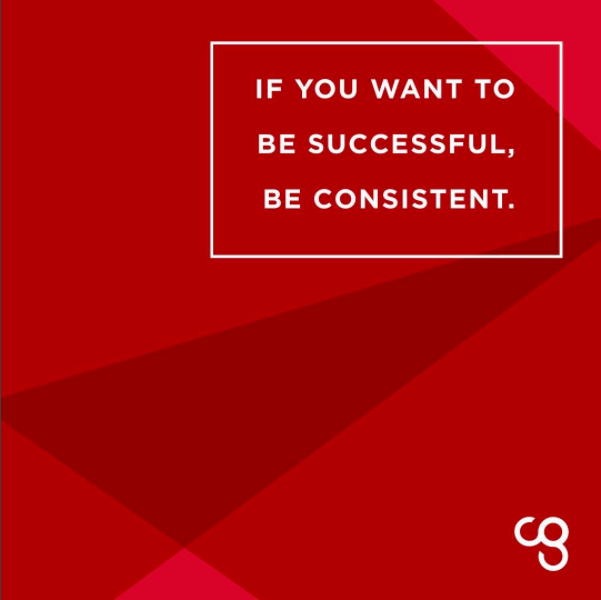 Be consistent and persistent in your efforts even when you don't think anything is happening. If there's one thing I've learned over the past few years, it's that pure grit goes a long way. PS - My friends at Camp Gladiator are doing their $9 sale today! This is definitely not sponsored... just sharing because I love it! If you live in Texas, North Carolina, Florida check it out ASAP!